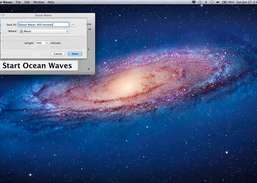 Ocean Waves generates a simulated sound of ocean waves. 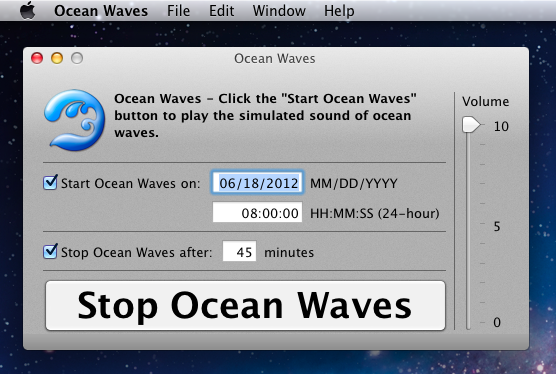 Unlike the recorded sound of ocean waves on CD's, the simulated sound of ocean waves does not repeat for hours. 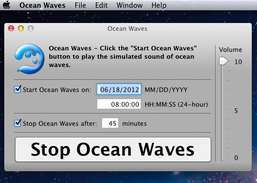 You can save the simulated sound of ocean waves as an AIFF file (up to 400 minutes), and burn a CD (up to 79.9 minutes with iTunes) or download on your iPod from iTunes. I hope this helps you relax, sleep at night, and wake up in the morning. Timers: Wake up and sleep timers. Noise generators: Pink noise and brown noise. 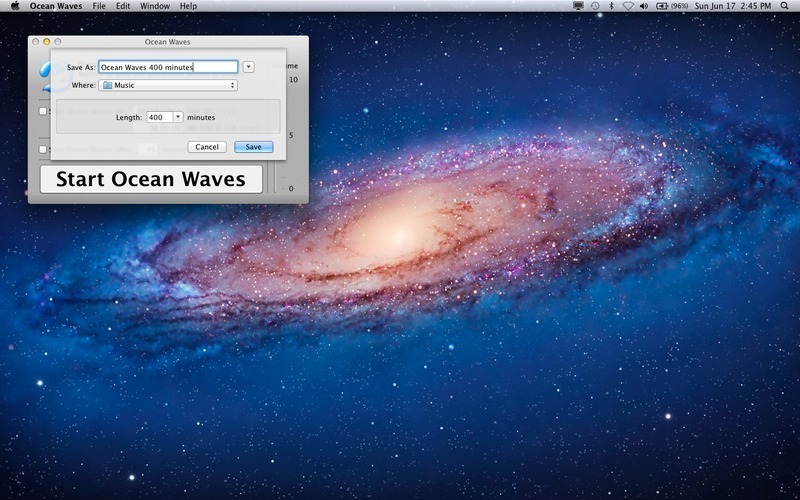 Wave simulator: Wave-like amplitude modulation. 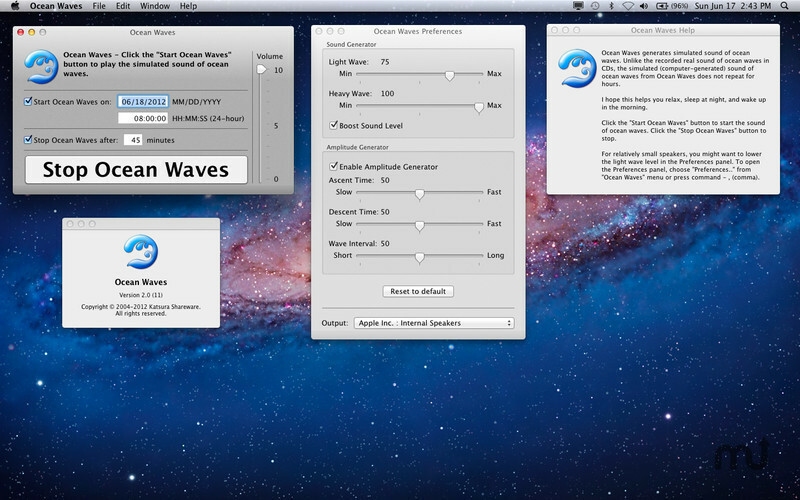 Create multi-frequency tones in stereo sound.